One of the joys of being a teacher is that I am offered endless opportunities to learn from my students and our interactions. I teach a course on health care policy for students pursuing a master’s degree in health education. People interested in health policy generally pursue an MPH (Master’s in Public Health) or a degree in public policy of some kind. So, it’s fairly typical for me to encounter resistance: students who want to be health educators often don’t understand why they need to learn about health policy. 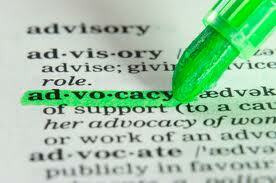 My experience teaching the course this quarter wound up deepening and expanding my understanding of advocacy. Even more than in past years, some of the students balked at the idea of engaging in policy arguments in class and in their assignments, which were to write a series of blog posts about health policy and then give a presentation on the subject matter of one of the blog posts. I encouraged those students who didn’t like the assignments to talk about the sources of their resistance. Some students said they don’t feel comfortable with confrontation and conflict. Others said that the system was so broken that there was no point in arguing for change. Many said that policy arguments are not health education, so why study it or practice it? I listened and let them know that I heard their concerns. I agreed that policy arguments do not constitute health education, but then I turned it around, saying that health education is a form of advocacy. I cited Gandhi’s famous quotation that we need to be the change we wish to see in the world, and asserted that understanding the system and its effects is essential because health educators need to be part of the change we wish to see. I let them know that I hoped to convince them of that by the end of the quarter, and left it at that. I began to reflect on the personal toll of running silent when I could have spoken out. I have run silent on “things that matter” for a variety of reasons in my life, including fear, overwhelm, or a sense of futility, and sometimes because it just wasn’t convenient to speak out. Noun: a person who speaks or writes in support or defense of a person, cause, etc. History is on the side of the advocates. My great-grandmother didn’t have the right to vote until she was about the age I am now. That same great-grandmother, whose father fought in the Civil War, lived long enough to witness the civil rights movement of the 1950s and 1960s. I was born shortly before Stonewall, and this year I heard an African American President speak on behalf of gay rights in his Inaugural Address. An advocate is by definition an optimist: we believe we can make a difference. Change doesn’t always come quickly, and people suffer while we are advocating. But the suffering doesn’t go away when we avoid advocacy. It only goes away when we bear witness and try to change the world. It’s become a truism that we should never doubt that one person can make a difference. But it’s not just about the Gandhis or Martin Luther King, Jrs. Effective advocacy requires a collective, a community—concerned groups of citizens coming together to shape the debate. I brought these thoughts back to the students in the second class and we continued the conversation about advocacy throughout the quarter. By the way, their blog posts and presentations blew me away this year—engaged and impassioned essays about health issues they really care about. In our last class, they divided into small groups and came up with “wishlists” of advocacy activities directed at creating a functional and just U.S. health care system. We wrote their ideas on the chalkboard; at least half of the activities they came up with were educational in nature. I pointed this out to them and reminded them of the challenge I had set for myself in the first class, namely, to prove to them that health education is a form of advocacy. They smiled and nodded; if I had been holding a microphone at that point I would have been tempted to drop it on the floor and walk out of the room. The course is over now, and one of the students stopped by my office as I was writing this. (Some of you more cynical readers may not believe me, but this really happened.) She had just returned from a trip to Washington DC advocating for LGBTQ civil rights. Before the trip, I had given her some information about some of the health implications for people who experience stigma and bias and pointed her to a recent article I had seen in the American Journal of Public Health about the health implications of denying people the right to marry. The experience of advocacy on her trip was transformative, she said. She asked about finding an internship that combines health education and advocacy. I have long understood that my HAES work and my work in ASDAH were forms of advocacy. I now understand that my work as a teacher is another form of advocacy, not so much in the content of what I teach, but in creating a space in which students find their voices to shape the debate. Right on! MLK, Gandhi, and yes, even some of our fellow HAES® activists are surely role models for those inspired to do advocacy. You may have to give up certain narrow-minded judgemental friends, set new rules for dealing with certain relatives, and it might even influence your career choices. But what a life to have lived–to have made a difference in the lives of others!